The jungle has gotten smaller, each less than an inch high. The whale, octopus and a seal slipped into the picture. Snapped at wonderful local art and street fair yesterday. 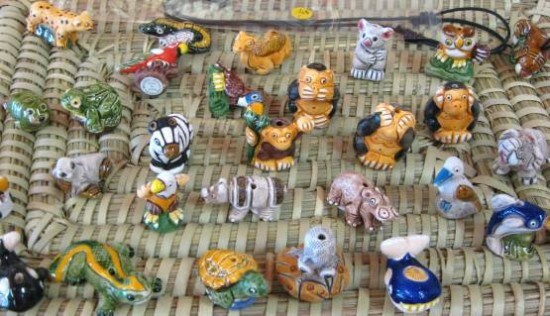 I had some mini ceramic animals growing up though not incense holders like I think these are. I don’t remember where they all went… For a while I was making little monkeys out of some baking soda mixture I concocted and baked. I tried selling them but thankfully that never worked out. Better music than slaving over a hot oven waiting for the monkeys to cook!